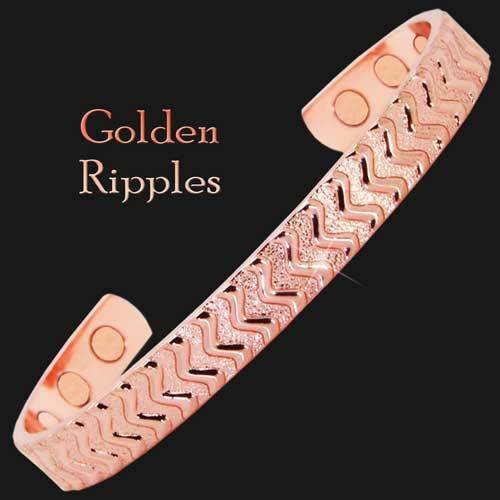 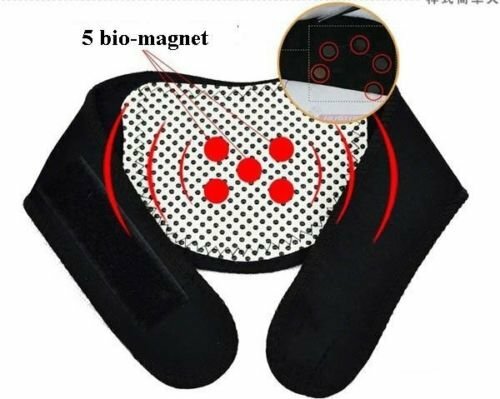 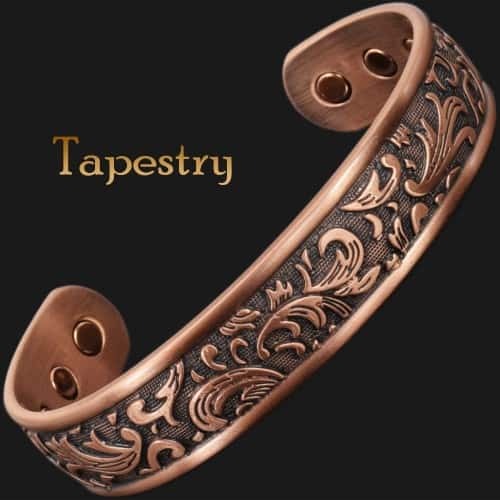 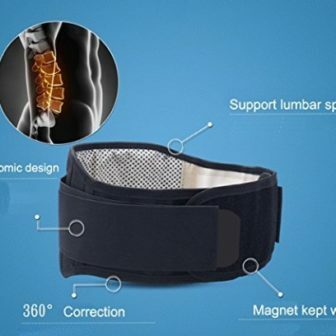 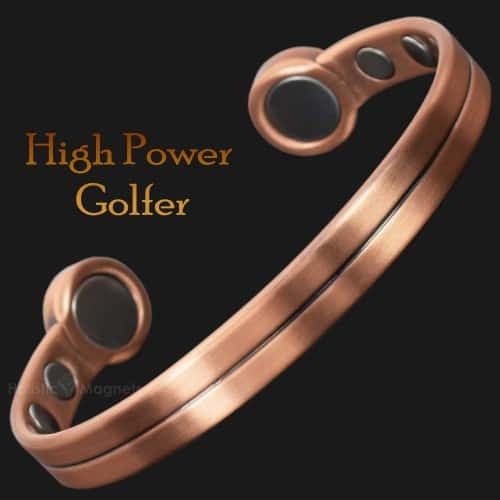 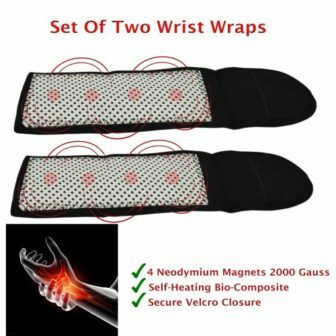 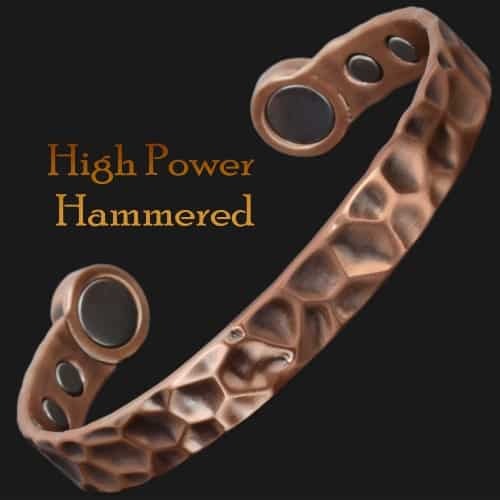 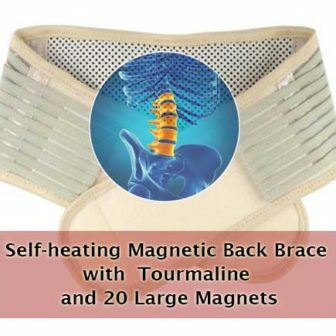 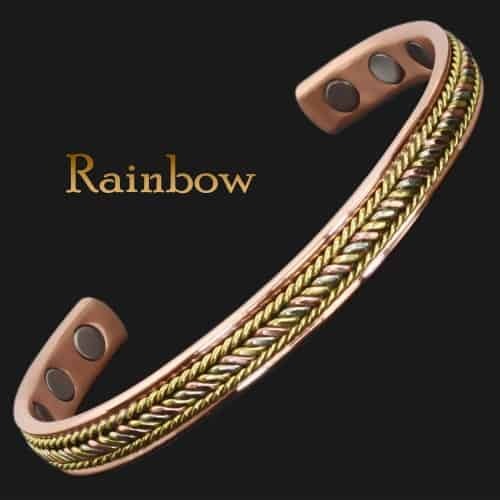 Thermal, self-heating magnetic neck wrap with 5 neodymium magnets 2000 Gauss each and self-heating bio-composite that contains natural tourmaline mineral. 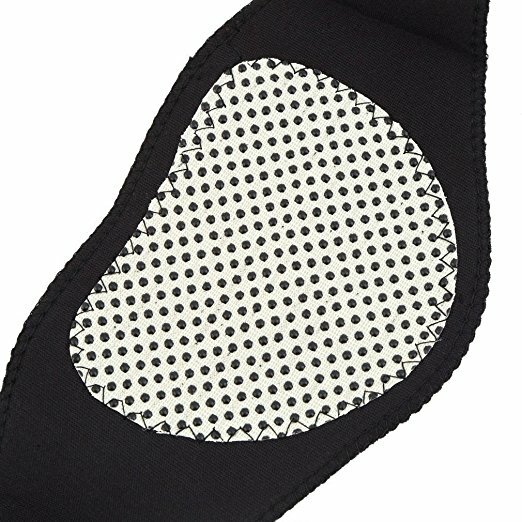 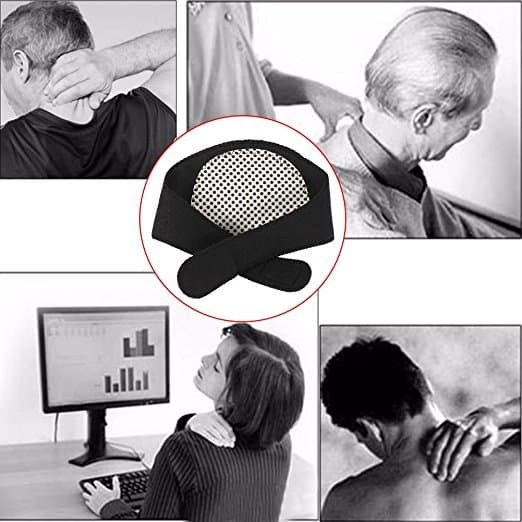 The neck brace when in contact with skin forms a magnetic field that resonates with human body and produces natural far infrared heat. Effectively relieves neck pain, improves blood circulation, helps to clear the meridians and enhance immunity. 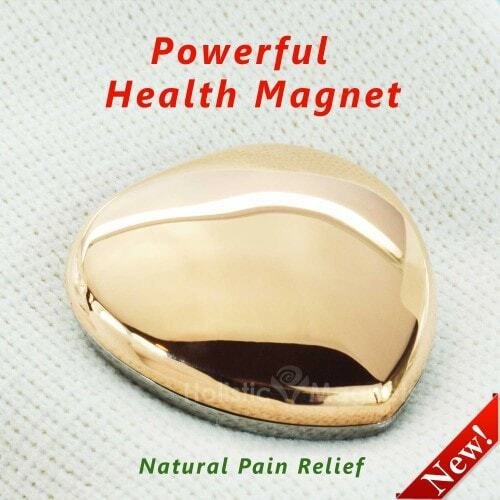 Please note that the heat might be very intense for the first 15 minutes. 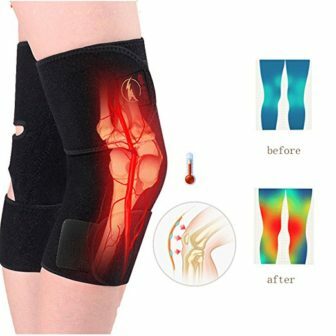 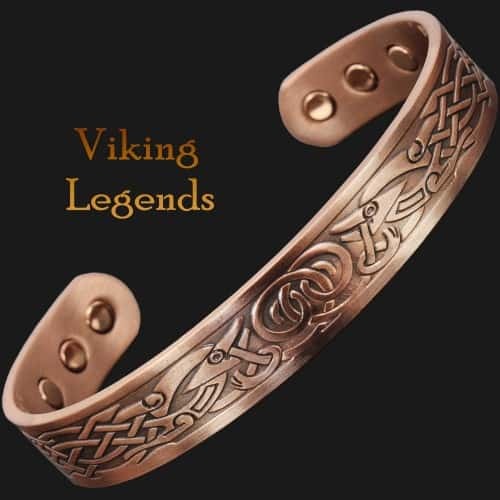 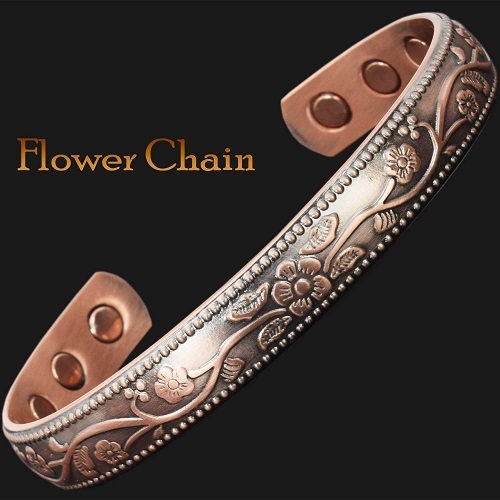 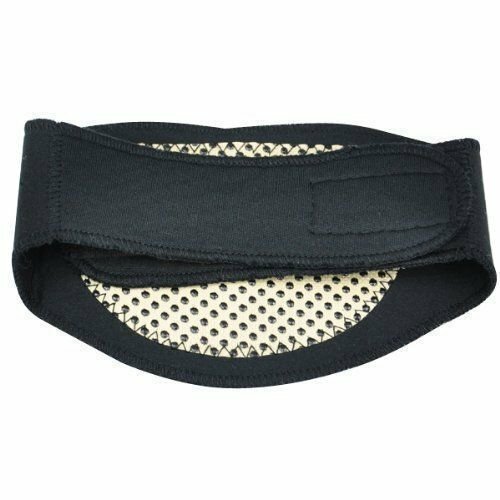 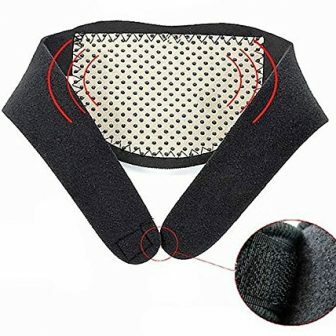 It might be a bit uncomfortable but it is very safe and won’t burn your skin. 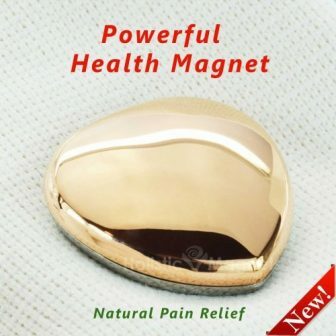 The effect is similar to the deep heat ointment rub. 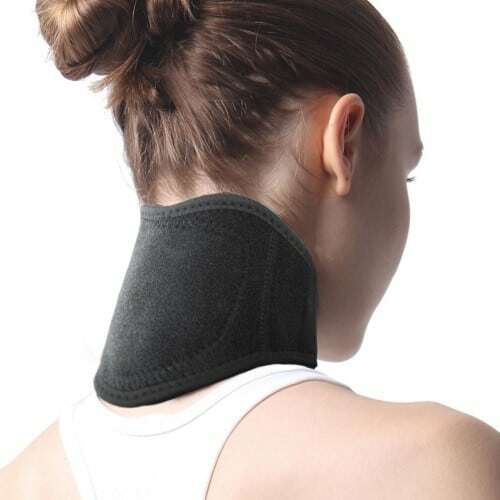 If the heat gets too uncomfortable, you can slightly relax the wrap around the neck. 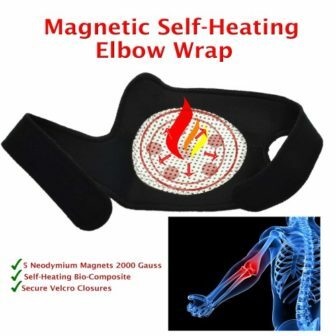 The magnetic neck wrap can be left on for a few hours or even for the night. 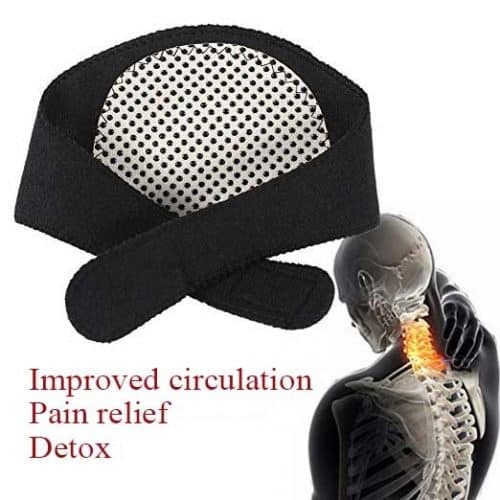 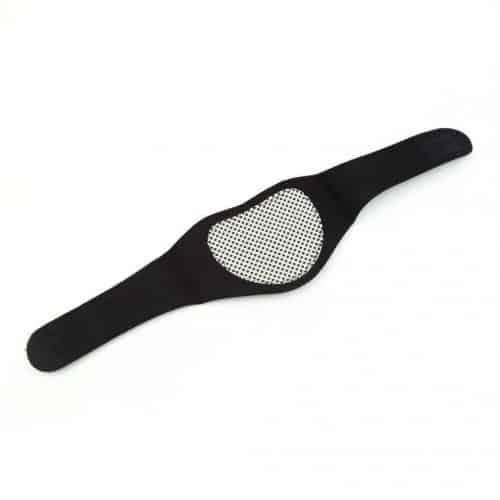 Effectively relieves pain in the neck, caused by tension, arthritis or dislocated spine disk. Can be used on other parts of the body, such as face, arms, wrists and legs. 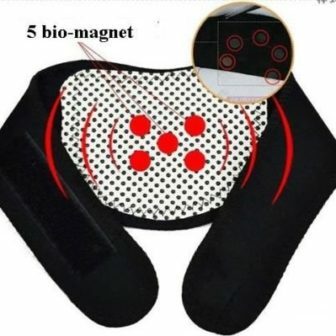 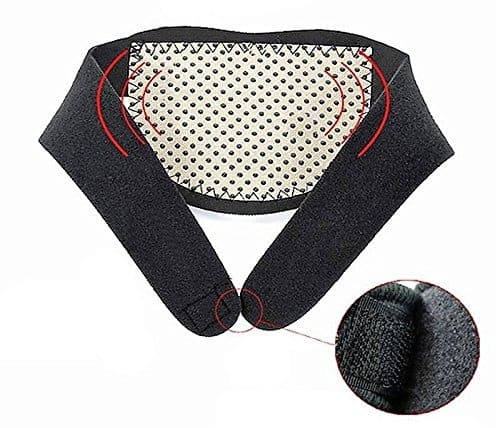 – Relieves head colds and sore throat (turn the wrap around with magnets facing the front side of the neck).